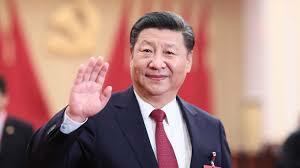 The rise and rise of China’s President Xi Jinping is set to acquire a new momentum and reality as the Communist Party of China gears up to extend the presidential service beyond the two consecutive terms. This move to scrap two-term limit means that Xi Jinping could choose to rule the world’s second largest economy for his entire lifetime. Mr Xinping has emerged as the most powerful leader of China since Mao Zedong and Den Xiaoping as was evident in his elevation to the CPC pantheon in the 19th Party Congress in November last year. The abolition of the two-term limit on the tenure of the president means that China is staring at an indefinite leadership by Mr Jinping beyond 2023 when his second term ends. Getting such a proposal approved in the parliament that opens on March 5 is no difficult task since it is filled with Party loyalists. The 64-year-old Chinese leader secured a second five year term as the General Secretary of the CPC last year and this too may last well beyond the usual 10 year term. 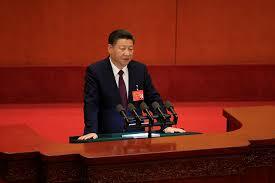 As a five-yearly leadership shake-up is underway in Beijing, President Xi Jinping is expected to fill the ruling Communist Party’s apex of decision-making, the Politburo Standing Committee, with trusted allies.Xi’s line-up for his first term at the helm of the world’s largest political party was a compromise influenced by his two immediate predecessors. But China’s ongoing 19th party congress is seen as the new beginning for Xi, who is expected to enter his second term with a team stacked with trusted allies and followers.